This entry was posted in Discovering Me and tagged Facebook, friends, hot tub, like, photo, Superbowl Sunday by Nicki. Bookmark the permalink. I love looking at the FB posts. But it’s good to keep perspective on them. It’s just a fun outlet into everyone’s world. You don’t post a fight. 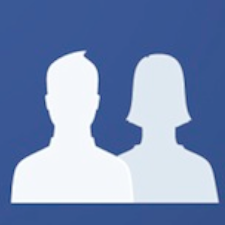 I think when you are looking at FB, you just take it for it’s face value – a nice experience had by that person. There is more, but we don’t need to see it. Love you and your writing! We can keep it real. I love your words and your perspective, Nicki. It’s so true that Facebook makes everybody’s lives look simpler, easier, more brag-worthy, because that’s what we post there. While we may say that we’re not having a great day, or post a complaint about a sitter canceling every single day for four in a row, really, we post the great photos and the fun wine and hot tub moments. By the way, it’d have totally wigged me out if somebody recognized me from a FB photo. It sounds like you handled it really well. Kristi… you rock. Yes, communication today is complicated, but worth it :). Loving my latest follow on Facebook: Finding Ninee!